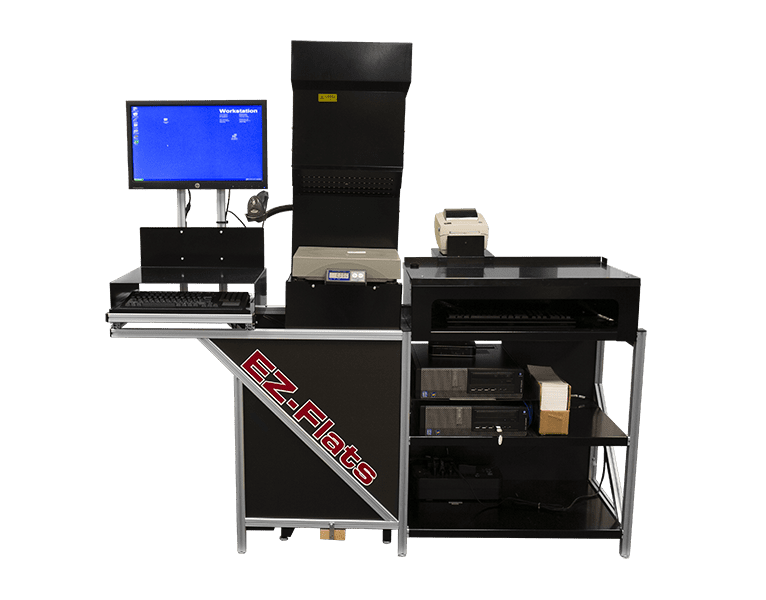 The EZ-Flats Essential is the introductory model for the EZ-Flats system for mailers with lower flats volume to get USPS discounts hastily with a lower initial investment while eliminating the need for multiple passes. This absolutely essential solution identifies the address on the mail piece through the OCR and the operator manually applies the barcoded label. The Essential features best in class OCR technology and works with Parascript™ and/or RAF Platinum™. EZ-Flats Essential can bust out 500-2000 flats daily, with an hourly rate of 700-1000 flats with 1-2 operators. Eii makes it easy to scale by allowing multiple server-based EZ-Flats machines to work together, and, of course, you can easily upgrade to Enhanced, Premium, or Pro models should your volume increase. Min/Max Weight: 0.33 oz – 70 lbs.